Located near the coast in the Provence-Alpes-Côtes d’Azur region in southern France, Port Pothuau offers holiday-makers the ultimate camping experience. 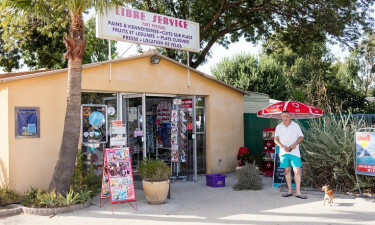 With fabulous weather in the sunniest region of France and year-round availability, book now with LUX-camp and take advantage of some excellent deals. Choose a luxurious and comfortable mobile home that comes fully-equipped with modern appliances. 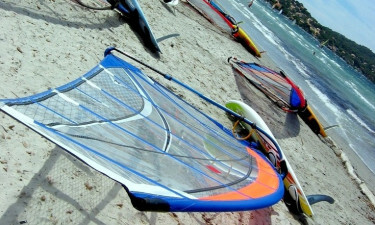 Why choose Port Pothuau for your camping holiday? 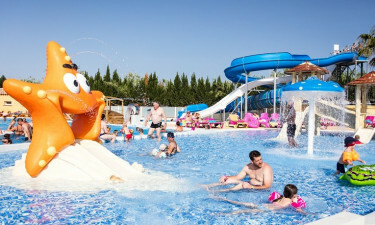 This luxury camping resort has a good-sized outdoor pool featuring three exciting waterslides, a heated indoor pool that is both quiet and serene and a smaller paddling pool for the toddlers and babies. With animation programmes running regularly around the poolside throughout the peak season, there is always something for the little to get involved in, leaving the adults the opportunity to soak up the sun on a deckchair or sun-lounger round the pool. Close to the swimming pool there are thermal baths and a sauna for some-deserved relaxation. Port Pothuau has something that everyone, whether young or old, can enjoy. With sporting facilities including tennis, volleyball and mini-golf and the ability to hire bikes to explore the surrounding countrysides, there are plenty of activities available that the whole family can experience together. For the younger children there is an indoor and an outdoor play area and lots of entertainment. For teenagers and adults, there are aquagym sessions, waterpolo tournaments and plenty of other competitions. Evening entertainment is available and includes cabaret shows, competitions and karaoke. Only 1km from the glorious Hyères beach in the French Riviera, Port Pothuau boasts a wonderful Mediterranean climate. Spend your days relaxing on the beach whilst the children enjoy fun-packed activities that will keep them entertained all day. There is even a shuttle bus that runs throughout the peak season, making a trip to the beach an easy feat. A visit to the small medieval town of Hyères comes highly recommended as it is the oldest resort in the region, with the ancient castle overlooking the town and the 12th century Tower of Saint-Blaise offering wonderful views of the surrounding area. For an exciting day out that the whole family will enjoy, take a trip to the Port-Cros National Park which has over 690 acres of natural landscapes to explore. There is a wonderful restaurant within the grounds of this luxury camping site. Serving local dishes and boasting a fantastic wine collection, a family meal out is definitely a good idea. There is also a well-stocked bar and a selection of snack food outlets including a pizzeria that provides a takeaway service. With a conveniently-placed grocery store on-site, campers will find is easy to keep the cupboards full. Fresh bread is available on the main campsite and there is a bakery selling delicious pastries. Also, there is a small souvenir shop with a lovely selection of gifts.